Hey guys! So this is the LAST Author&apos;s Note before Dear Sydney is published! Editing and formatting are DONE and the proof copy of the physical book is being shipped to my house as I type this. 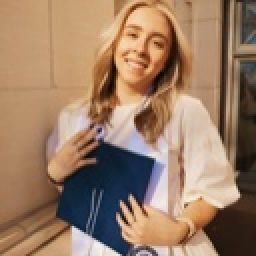 I am beyond excited and I hope that you guys are too! If you haven&apos;t yet, be sure to fill out this survey about pricing on Dear Sydney, letting me know some general information so I can make it as easy as possible for you guys to have access to the published copy! The link is: https://katherinepowell.typeform.com/to/PEuWUk and it&apos;ll also be the external link to this chapter if you want to click on that. I also have an Instagram that I will be keeping updated with the publishing details, as well as posting on the Instagram Story on that account to let you guys see what&apos;s going on, as well as trying out Live Stories! It&apos;s @kpwattpad if you guys want to check it out! 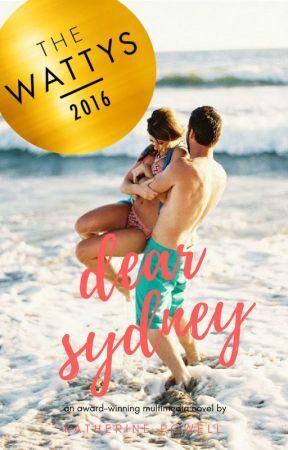 But most importantly right now, I&apos;ve just started another book on Wattpad that I think anyone who enjoyed Dear Sydney will really enjoy! It&apos;s called Three&apos;s Company and is another way of writing a story, kind of like how Dear Sydney was. It includes some text messages and things like that, but not to the same extent as Dear Sydney. It would mean the world to me if you guys checked it out for me and let me know your thoughts on it! The upload schedule is every weekday (yes you read that right...Monday Tuesday Wednesday Thursday & Friday updates) and so I get to post a lot and hopefully you guys will enjoy it! The next Author&apos;s Note will be when Dear Sydney is published...that&apos;s crazy! Let me know if you&apos;re planning on getting it!